Ranging from warm to cold water conditions, Aqua Lung offers a wide array of boots for your diving adventure. With ergonomic soles, that add to your comfort and keep your feet warmer, soft to hard sole and quality materials and components, the Aqua Lung line of boots is a complete offering with innovative features only found in Aqua Lung boots. 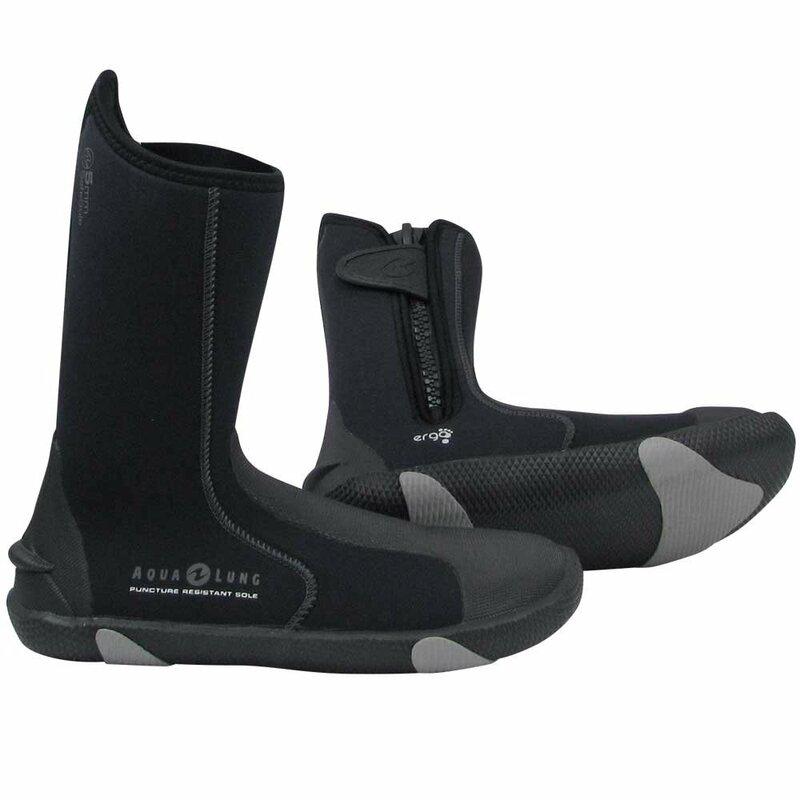 Aqua Lung has added comfort and warmth to your diving experience with its line of Ergo Boots. The Ergo boots unique cut results in a boot that is better fitting with a footbed and outsole cut to match the profile of your foot. The Ergo design eliminates excess water, allowing your feet to remain warmer through your dive. In addition, the seam cuts on the boot are placed away from the widest parts of your feet, minimizing the chances of seam abrasion.